For years marketing and advertising has been regarded as marketingandadvertising – one giant machine. Both are key components to your business but they are dramatically different. Understanding the difference between marketing and advertising and appreciating how they complement each other will help you make decisions to positively affect your business and your brand. By definition, marketing is the process of teaching customers why they should choose your product or service over your competitors. That’s simplified, of course because marketing is all inclusive. Included within its walls is advertising, market research, media planning, PR, sales, strategy, branding, customer support … the list goes on and on. Think of marketing as preparing your product, company, or brand for the marketplace. Logo, color and content are all pieces of marketing. But why are you marketing yourself? Why are you looking for an audience? Identify your target audience, and their unique needs, wants, pain points, and traits. Essentially, where they eat, sleep, live, breathe and shop. Answering these crucial questions first will help establish marketing and will help prep for advertising’s execution. Marketing is about changing behavior, both yours and that of your intended customers and prospects. You know your company and brand have value, that’s why you’re sitting in the seat you’re in. You cannot make customers loyal, but you can increase they’re level of engagement. Bring innovation and value to your customers. Direct engagement and content toward your audience. Deliver consistent messages across the various marketing channels. Advertising is the process of making your product, company, or brand known to the public – especially by paid announcements. Again, that’s a simplified explanation. The term action of doesn’t specify advertising limited to print, media, web, or any specific medium. You are looking to find people, but you want to find them where they want to be, and where they already are. Think of the genesis advertising has experienced over the last one hundred years: word of mouth, radio, television, print, billboards, Internet, and social media. As with marketing, research is integral to your advertising’s plan. Remember to think from your target audience’s point of view and start investigating where they like to go for information and where they get their questions answered. The truth is, marketing and advertising both contribute to the same end goal, but they’re distinct from each other both in objective and process. 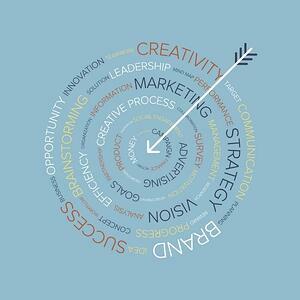 If you haven’t established your comprehensive marketing plan, you’re not necessarily ready for advertising. Advertising costs time, money, and most importantly, your consumer’s time which is the most valuable commodity of all. Perhaps the biggest component of successful advertising is a strong brand. Start fostering your brand’s strength so your advertising dollars are well spent. Marketingandadvertising as marketing vs. advertising can work effectively for your product, business, and brand. Treating the two as powerful, integral, yet separate tools for your success is the key.